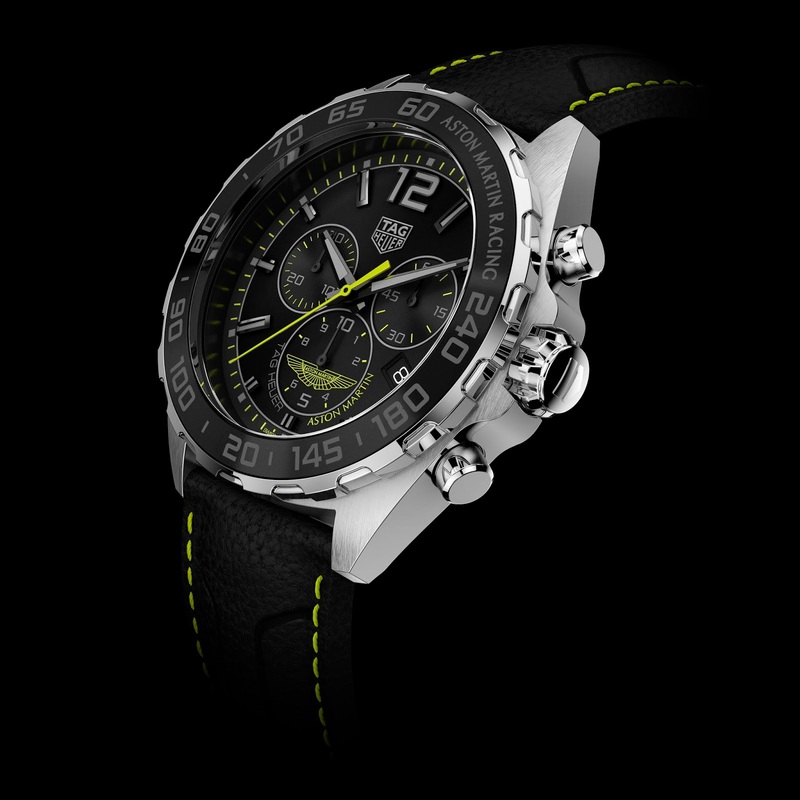 The TAG Heuer Formula 1 is TAG Heuer's ultimate motor racing model, synonymous with performance and speed. Entirely in steel and measuring 43 mm in diameter, this quartz chronograph features a notched steel bezel and an aluminium ring with a tachymeter scale. The indexes, seconds hand and Aston Martin's famous winged logo all don Aston Martin Racing's specific shade of lime essence and stand out against the watch's black dial to beautiful effect. 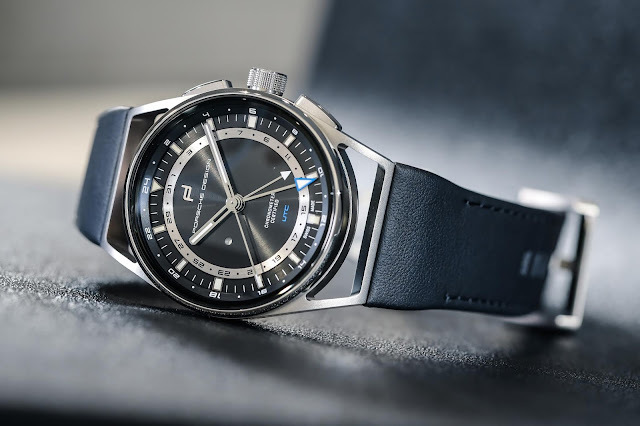 The movement is accurate to a tenth of a second – an indispensable feature in a motor racing watch – and is displayed on the small counter at 6 o'clock, with the minute counter at 9 o'clock and the current seconds counter at 3 o'clock. The model comes with a magnificent black leather strap. This is exclusively for Aston Martin as this is the first time TAG Heuer uses a leather strap in the TAG Heuer Formula 1 collection. With lime essence topstitching, it adds character and sporty style to the watch.